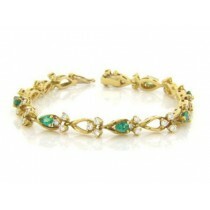 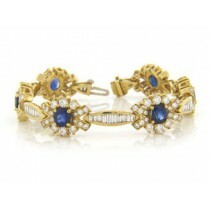 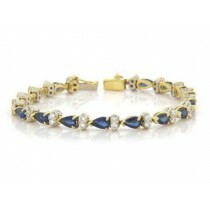 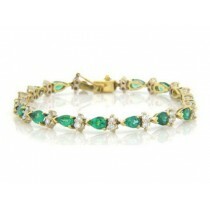 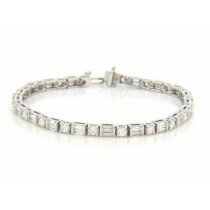 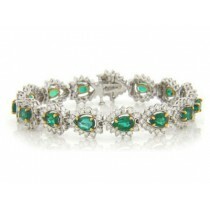 You can wear beautiful diamond bracelets that subtly grace the wrist or add maximum sparkle to a look. 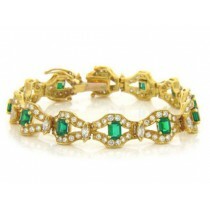 As a trusted fine jewelry manufacturer, we create our own best-selling tennis bracelets, bangle style bracelets, floral patterned bracelets, bezel set bracelets and custom designed diamond bracelets. 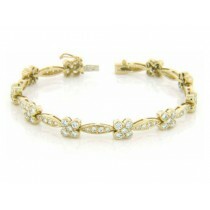 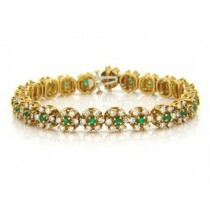 Your favorite bracelet with diamonds can be set in 14 or 18 karat white or yellow gold, or in platinum. 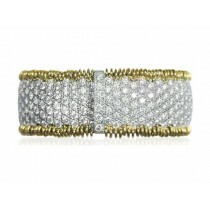 For creative bracelet designs, consider how we blend different diamond cuts, such as round cut and marquise, and handset them into eye-catching formations. 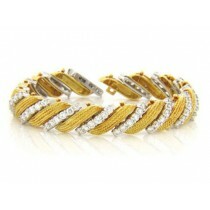 Alternating patterns of round diamonds and baguettes also make glamorous bracelets that are a fashionable take on the popular tennis bracelets. 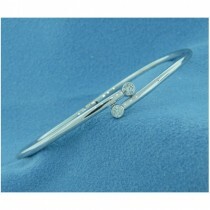 Our bracelets are for those who love diamonds! 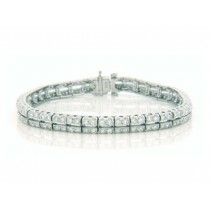 Best-selling diamond tennis bracelets are a classic favorite with their perfectly coordinated round cut diamonds. 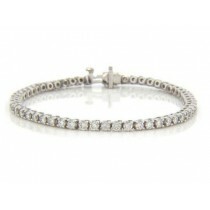 The brilliance and simplicity of the tennis bracelet with diamonds contributes to its flowing elegance. 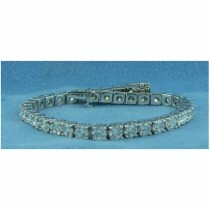 Though each round diamond is individually placed in its own secure setting, the appearance is a continual circle of diamonds that meet at the clasp. 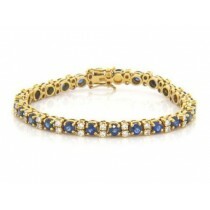 Like all of our bracelets, the tennis style is available in a variety of wrist sizes. 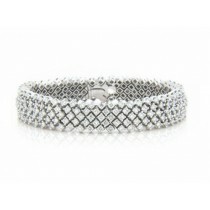 By customizing the diamond size you dictate the bracelet’s impact, from sophisticated cocktail to red carpet ready. 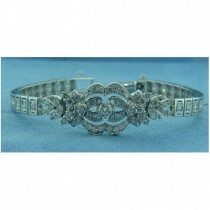 Glamorous diamond bracelets for women can be coordinated with diamond earrings and pendants for classic fine jewelry fashion. 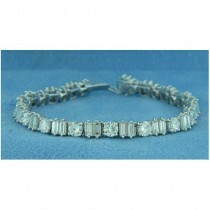 The unique multi-row diamond bracelet is a fantastic look with memorable radiance. 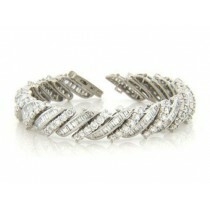 Alternating vertical rows of diamonds with shiny gold or platinum makes a chic presentation. 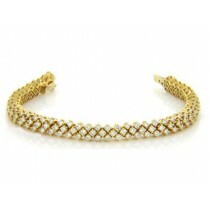 We create bracelets with diamonds for women in traditional styles, or with diagonals and curves. 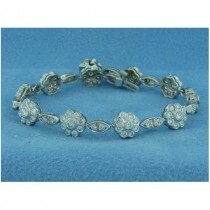 E-mail or call us today to have distinctive sparkle on your wrist for less.